The perfect digest for rum enthusiasts! 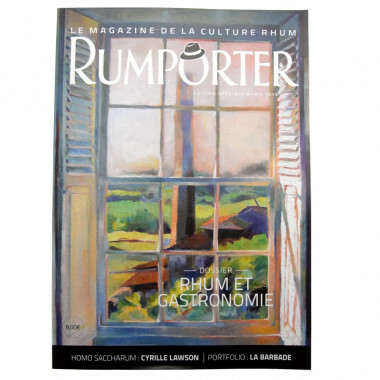 Discover all the secrets of the rum, traditions and cultures with Rumporter magazine. Dedicated to rum expertise and heritage, dive into the many reports, technical articles, recipes and other useful informations and tips linked to rum culture. Rumporter Special Edition's summary includes: rum & gastronomy, rum recipes, a focus on Trois Rivières distillery, cocktails, the rums of tomorrow and the history of rum under the French revolution.